How to overcome the challenges that come with feeding healthy snacks to children. Also includes a great list of healthy snack ideas children will love. Finding the time and energy (and budget!) to feed our children healthy snacks can be exhausting. I’m not gonna lie, it’s just a lot sometimes. 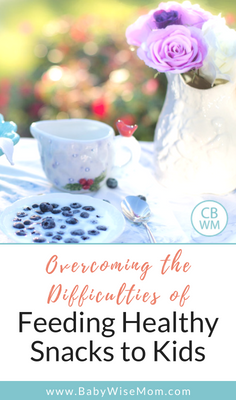 Healthy food is my ‘thing.’ We all have a ‘thing’ as a mom that we don’t want to ever budge on; sleep schedules, screen time, manners, healthy eating habits. Honestly, all of these are my ‘thing’ but healthy eating is by far the most important to me. Even still, I sometimes struggle. It can be expensive; it’s more work; it takes longer; my kids are probably going to throw it on the ground. 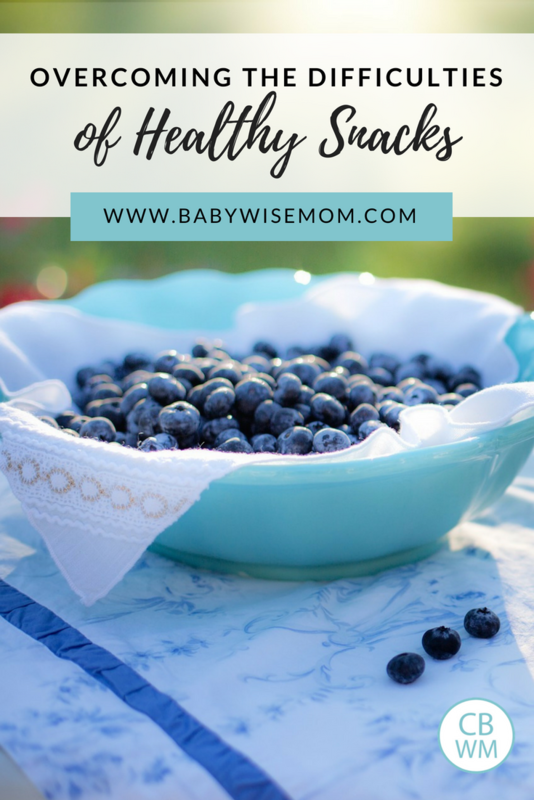 So, knowing that healthy eating is so important to me and I still struggle with it for my children, I can only imagine the struggle for the mom who is fairly in the middle when it comes to healthy snack ideas for children. 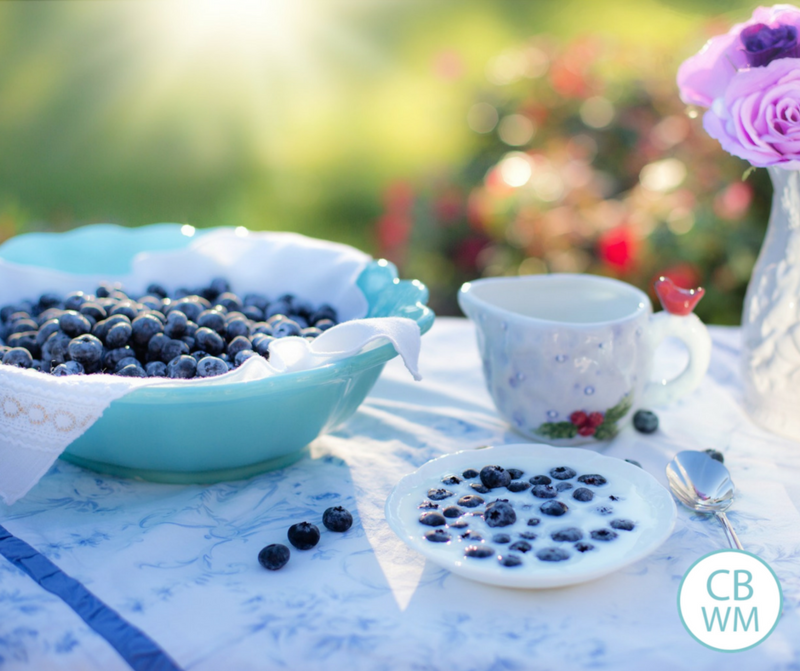 If healthy snacking is so important, then why do we struggle with it? My number one issue is the price. Popsicles? Cheap. Frozen fruit? Not so much. In my list below, I’ve done my best to include options for every price point. Handing our children a cookie or filling their snack cup with animal crackers is much easier than cutting up fresh fruit or making homemade granola bars. Let’s be real, as busy moms, convenience is key! I want to say this in the most non-judgy way I possibly can, so I’m going to state this right up front! These are my personal opinions. I am not a health expert or nutritionist. I am just a mom (a very busy one at that!) who is frustrated by the food industry and trying to find ways to feed my children healthy foods. If healthy snacking isn’t important to you, or you’re in a season of survival mode, I’m not judging you! Promise. However, if you’re looking for ideas or inspiration for healthy snacks, I want to give that to you. My hope for my children is for them to have a healthy relationship with food. As they grow up, I want them to make healthy choices on their own. Don’t get me wrong, we still eat cake on birthday’s, go out for ice cream in the summer, and have the occasional donut for breakfast. Treats are so important, BUT I believe they should be just that… treats! Fruit Kabobs: use fresh fruit and string them on a kabob skewer (I like to use fresh fruit and then freeze it!). These are great frozen as a popsicle substitution and can be made festive with strawberries, blueberries, and banana for patriotic holidays. Frozen Fruit: Frozen fruit can be expensive, but bananas aren’t! My son loves frozen bananas witha dallop of peanut butter on it. Banana Ice-Cream: This one is great for staying on budget! Just slice up ripe bananas and put them in the freezer. Once they are frozen, pop them in the blender and boom! Banana ice cream. For flavor variation, you can add whatever you want. I don’t personally love banana flavored things, but I like this with strawberries added, or nut butter and cocoa powder. YUM. Fruit Popsicles: there are tons of recipes out there for homemade popsicles. I, personally, have never really followed a recipe, but I’m fairly creative in that department. I just blend up whatever fruit I want to use, and add some yogurt or nondairy milk. Strawberries with yogurt and coconut milk is a huge hit! Add a bit of honey if you need some sweetener. You can also just freeze fruit juice. I remember my mom filling popsicle molds with orange juice when I was a child and thinking it was the best ever. Link to popsicle mold and mini popsicle mold. Sliced Vegetables: Baby carrots, cucumber, peppers, tomatoes, etc. I give my children a vegetable with lunch When I was getting them accustomed to this, I sliced baby carrots super thin. This way, if they were tossed on the floor and wasted, it wasn’t a huge loss. I also think that children are more likely to eat something they’re unsure of if it’s a smaller portion. Vegetable Dip: I haven’t had a good experience with dip for children under 3. They just use the vegetable as a utensil and only eat the dip. I suggest sticking with plain vegetables and using dip or dressing only if they won’t eat them plain after several tries. However, I do sometimes give my 4-year old hummus. Tip: Check to make sure the hummus doesn’t contain added sugar. Celery Boats: Celery with peanut butter and raisins. Personally, I think this is a weird combo, but my kids go nuts for them! Green smoothies: OK, this isn’t so much of a snack as just a great way to get your kiddos to get more greens. Blend up about 1.5 cups unsweetened liquid (milk, water, juice), 1-2 cups of fresh or frozen fruit and a few handfuls of greens. I think spinach is the best green to use because you can’t taste it at all when it’s blended up. Self-serve: My kids feel like big kids if I have the bag of carrots out at the table while we eat lunch. Experiment with different styles and sizes. My two-year-olds prefer their cucumber peeled. My 4-year-old prefers chunky baby carrots and the two-year-olds like them cut in half. You could also try serving them on toothpicks! Eat them in front of your kids: I usually eat lunch while my children are napping. I realized that it’s important for them to see me eating foods that aren’t necessarily their favorite, so sometimes for lunch, I’ll make a big plate of sliced vegetables (peppers, carrots, cucumber) and sit at the table with them and munch on them. My kids usually keep asking for more and I’ll bring the plate to them and let them serve themselves. Val has posted about using a vegetable tray and I think that’s perfect. I will definitely utilize one when my kids are a bit older! Dairy and Baked Goods, Protein, Etc. Frozen Yogurt: I buy plain, unsweetened yogurt. As a ‘treat’ I will sweeten it with fruit or honey (sometimes even a spoonful of jelly) and then freeze it. It’s harder than ice cream because it doesn’t have softeners in it, but let it sit out for a few minutes and you’re good to go. Blender muffins: Check out my post here for our favorite blender muffins. They are absolutely delicious and have NO flour, oil, or sugar, AT ALL. They’re basically magic. Did I mention they’re super easy to make? Trail Mix: Some nuts and raisins! Boom! Trail mix. Much more filling than store-bought granola bars, and without all the added sugar and preservatives. Hard-boiled eggs: My children aren’t a fan of hard-boiled eggs, but I know many other children that enjoy them. If your children do, make a big batch at the beginning of the week and you’re good to go. We are all doing our best to raise our children the best we can. I truly want this post to be an encouragement to all moms! Don’t walk away feeling guilty like “ohhhhh, I gave my kids goldfish for breakfast, I am an awful mom!” No. If you want to feed your children healthy snacks, it can be easier and more cost-effective than we realize. If you’re in a rut of giving your kids unhealthy snacks and want to change, take baby steps. Don’t try to do it all at once! Choose 1-2 food items a week that you want to phase out and replace with a healthier choice. For example, phase out cookies and swap in blender muffins instead. Phase out jello and swap in some frozen yogurt with fun flavors. It doesn’t have to be all or nothing. Small steps become big victories. Caitlin is a stay-at-home mom to Theo (4) and Josie and Margo (2). 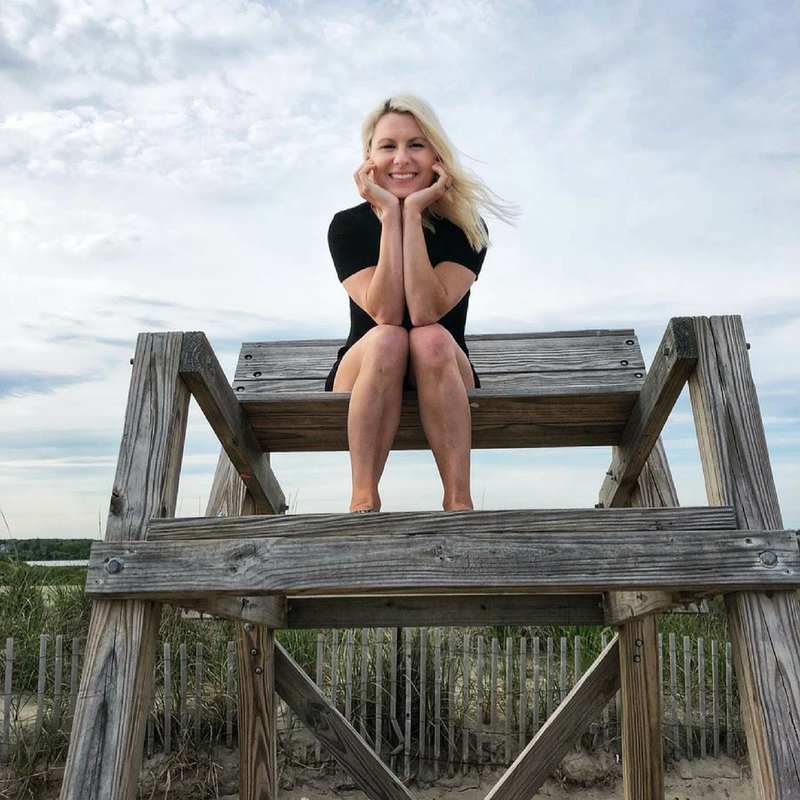 She blogs about twin life, mom life and strives to encourage a healthy lifestyle for her family and friends. Follow her blog at Twin Mom and More and you can also find her on Facebook, Instagram, and Pinterest.